Lionel Messi set to wed his partner of 20 years, Antonella Roccuzzo next year. Football star, Lionel Messi is set to wed his long term partner and mother of his two kids- Antonella Roccuzzo in 2017 according to several reports in his homeland- Argentina. "Messi and Roccuzzo will get married in 2017. The date will depend on Barcelona’s schedule of games and the fortunes of the Catalan side in the Champions League." 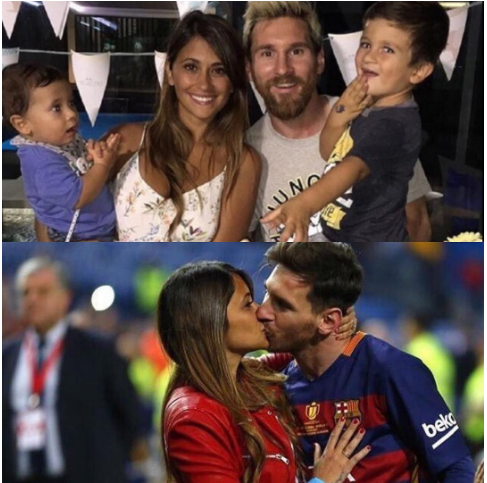 Messi and Antonella Roccuzzo have been together since 1996 (when he was just 9 years old) and have two boys together: four-year-old Tiago and one-year-old Mateo.